I thought I would share something that I came across a few months ago. I am sharing this on a day off of work, a day where I am actually thinking about taking a nap because today I am exhausted. The only thing keeping me from taking a nap is the thought of everything that needs to be done. Fortunately the house cleaners already came today so the house is nice and clean. That is until I bring the toddler home. But what about the list of things that the hubby asked me to do, or the laundry that is sitting in the washer that needs to be changed over to the dryer and of course the thought of what do I plan for dinner. So many things race through my mind and it is exhausting. My husband asks me very often "what are you thinking?". There are many times I answer awe, nothing, but thats just because I have so much going on up there that I don't know what I should tell him. Some days I cant even believe how much goes through my mind. What about you? What goes through your mind? This is a very good illustration of the mental load for a female. I am not saying that every house hold is like this, or that every female is like this. I am not saying that my house hold is like this, but there are parts of it that I think I can relate to. I hope you enjoy it, since there were parts that had me laughing to were maybe even a tad bit of pee came out. It is a bit long, so maybe try and snag 5-10 minutes to your self to enjoy this. By the way... I don't necessarily agree with this part. It's not that they refuse to take on the mental load, its possible that they don't know how and or their mental load is full with other stuff. I know sometimes the guy in my life is exhausted mentally with all the work stuff going on, what he needs in a specific vehicle, what he needs to take care of the next day or even finish up that night. I think that part should be taken with a grain of salt before the assumption is made that they "refuse" to take on the mental load. Again I don't think it's fair to say that we are the only ones in charge of the household, but I will say we do majority of the work for the house hold. I know some companies are making changes to these types of benefits for the dads. Before any of us complain, moms, think about it for a second, would you want him to stay home longer? What would he do? How would he help? Or would he be in the way? Get us out of our routine? I personally love my husband being home and although he does sometimes tweak the routine, he does spend good time with our kids and would also love to stay home. Leisure time... seriously what is that. Remember that nap I said I wanted to take and feel like I need it. We all know that nap didn't happen. That leisure time goes out the window as soon as started to think about those things that are on my list to do that I have not gotten to in way too long. I know it says the French Institute so you might be thinking does this apply... let me just say does it matter what institute. Think about your life, your friends, family, etc. It is very possible that this is more than just in France. There is progress being made for more paternity leave. Just this year I know of a large company that is now giving 6 weeks for paternity leave. WOW!!! I sure hope more companies follow. In Canada they give the moms a whole year off and in South Africa they give them 6 months. Dang! That is amazing for the moms and think how wonderful it would be for the men to have a month or even 6 weeks? As I mentioned at the beginning, I don't agree with all of this, but the mental load on women is real. There are a lot of men that are amazing that do help with this mental load and there are others that maybe need to learn about how to really help. Hope you have enjoyed this from Emma. It is Monday morning which means you need to wake up, make breakfast for the kids, get ready and clean up the house from the night prior before getting the kids to school by the 8am bell, all with only three hours of sleep your infant (thankfully) allowed you to get. Luckily your body has gotten into such a routine that you can function on auto pilot while taking care of the responsibilities for the new day. We all need a break to just sit down and relax without worrying about the next task on the agenda or the next thing that needs to be cleaned. Parenthood is the most admirable job a person can have but it is not all peek a boo and peaceful nights. There are only 24 hours in the day and with as much as you have on your plate it becomes common to ignore the cleaning we said we would do later and never got around to. The house is now even messier because our children have not mastered cleaning up after themselves yet (don’t worry, soon they will be able to help with chores). It is our job to not only clean up the mess our spouse leaves behind but now our child as well (they never put this information in the mommy handbook). Now that we have new members in our household the in-laws and our parents are always wanting to come and spend some time with them. What time do you have to clean the house and take care of your toddler and infant whom are throwing food across the living room? (luckily, their cute face makes it impossible to stay mad). With only a week before the parents come in to visit, the headache has gotten much worse! (those Advil don’t seem to be helping like they should!) Chem Dry is here to help prepare your carpet for that short noticed visit. Did you know that Chem Dry will also help clean more than just that food covered carpet? Chem Dry’s technicians can also take care of that high chair your baby ended up putting most of their carrot and peaches baby food on or that car seat they happened to have an accident in during the 5 minute car ride to the grocery store. Chem Dry only uses 100% green certified products that are safe for your children and pets! We know that your family comes first and their safety is the most important things to you. Your babies furniture will dry within 1-2 hours so your little monster will be able to eat their next meal in their high chair with no worries of it still being damp! 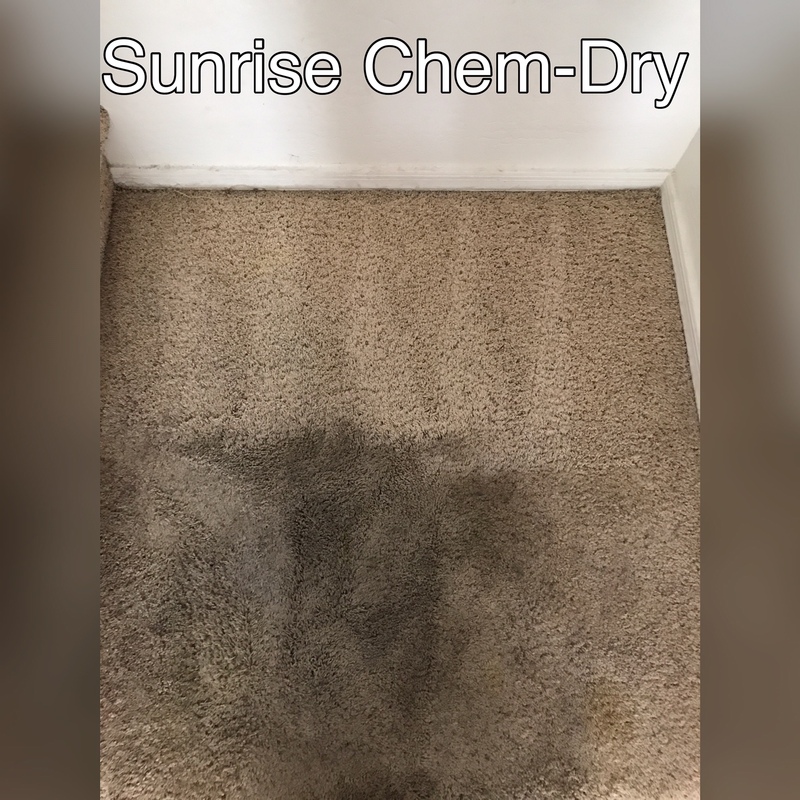 The next time you have a Chem Dry technician visit your home for a carpet, tile, or upholstery cleaning do not hesitate to ask them to clean your Childs most messy areas as well! Chem Dry is family oriented and we know how messy your little monsters can be and we want to help clean those messes and make your ever so busy days be a bit less stressful! Call Chem Dry today and set up an appointment for the next time your parents or in laws come over to see your children so your home is healthy and clean! I don’t know about you but I am starting to prepare for the holidays. What are we going to be for Halloween? What pumpkin patch should we go to? Where should we go trick or treating? Originally we were going to do a charlie brown pumpkin patch trunk or treat. My 5 1/2 month old would be charlie brown, our dog “charlie brown” was going to be snoopy. Although I thought it would be cute for the dog was charlie brown and our son to be snoopy, although I was out voted. My husband would be linus and I Lucy. Only because I have darker hair. Unfortunately our trunk or treat was canceled due to college events going on in the same area. So we will be heading to a pumpkin patch, hoping to find a big enough pumpkin to fit our son in for those cute Halloween photos. We will then head to the church for the Fall Festival. Lastly, what are we going to be for Halloween, that is a good question and right now I have no idea but I have a lot of ideas. Stay tuned on what we decide. What are you going to be for Halloween? Then there is the thinking of Thanksgiving. Who will host thanksgiving? I am of course since I LOVE thanksgiving. What will the Thanksgiving menu be? Who will bring what? Every year I think everyone asks what can they bring. If there is not a menu then there is the chance there will be to much of something. Who are we kidding, its Thanksgiving there is always left overs. That’s the best part. Did the invites get out to everyone for Thanksgiving? The more the merrier in my opinion. I can not wait to put out my Thanksgiving salt and pepper shakers. I have a few cute ones, that I look forward to having out all year. Did I mention I LOVE thanksgiving? What is your favorite part of Thanksgiving? Then there is Christmas. Who is hosting Christmas Eve? Which Christmas Eve service should we go to? Where is Christmas morning goin to be? Do we have a list from everyone on what they need? Who are we shopping for? What is the budget? I think for Christmas the list goes on and on. The only thing I have started for Christmas, is last year I decided to pay closer attention through out the year and keep a draft list of what people mentioned they needed, etc. This will be our sons first Christmas and I bounding out of my chairs in excitment. He may only be about 9 months during Christmas, but I am overjoyed to get him a red wagon. A wagon he can ride in when we walk to the park down he street. What is a Christmas tradition for your family? Then there is New Years. What the year is already over. Wow time flew by. Where did this year go? I cant believe we are already back in January. Then I think, it sure is going to feel like a long time to get to the holiday season again. I am a tad delighted that our son wont be asking to stay up until midnight this year. We are those folks who usually celebrate with New York, giving us a few more hours of sleep. I also usually am up early on Jan 1st for the annual Rose Parade. Who is ready for the new year? Although there are so many exciting things to be preparing for, I am also thrilled to be preparing for so many awesome Beautycounter holiday specials. There are so many beautiful gift sets coming out this year and wait for it…there might even be something for the men. Stay tuned! Which is your favorite holiday and why? I’ve been a bit under the weather. I am sorry for the long over due post. I have been a bit under the weather, okay more like a lot under the weather. I had been doing a lot of traveling and long days at work and it finally caught up to me. Needless to say I finally went in to the doctors a week ago, getting the diagnoses of a double ear infection and sinus infection. Have you ever had a sinus or ear infection? Neither one of these are fun alone and definitely not voted as a great thing to experience together. I was excited to get some antibiotics to kick these infections out the door. It took about five days to even remotely start feeling a little better, but I would say seven days to really start to feel like normal. Ear infections are not that uncommon for me. I get them about twice a year and have since I was very young. I had the ear tubes as well when I was about a year old, but that didn’t help. Antibiotics of course helps, but still not something that is enjoyable to go through time and time again. SINUS INFECTION: Sinusitis is an inflammation or swelling of the tissue lining the sinuses. Healthy sinuses are filled with air. But when they become blocked and filled with fluid, germs can grow and cause an infection. Conditions that can cause sinus blockage include: The common cold, Allergic rhinitis, which is swelling of the lining of the nose, Small growths in the lining of the nose called nasal polyps, A deviated septum, which is a shift in the nasal cavity. EAR INFECTION: An ear infection, or otitis media, is the most common cause of earaches. Ear infections occur when a cold, throat infection, or allergy attack causes fluid to become trapped in the middle ear. Although this condition is a frequent cause of infant distress and is often associated with children, it can also affect adults. EAR TUBES: Ear tubes (tympanostomy tubes, ventilation tubes, pressure equalization tubes) are tiny, hollow cylinders, usually made of plastic or metal, that are surgically inserted into the eardrum. An ear tube creates an airway that ventilates the middle ear and prevents the accumulation of fluids behind the eardrum. All in all I am on the mend! Thank you to all of you who have been sending me positive vibes and keeping me in your prayers. I am sorry for being away for so long, but I am super excited about the up coming posts. On another note while I have been trying to fight infections our sweet boy cut two more teeth (4 now) and another one that will cut any day now. Wow… 5 1/2 months old and will have 5 teeth soon. It all started on his bottom left side, in no time he’ll have a mouth full. Guess who received the Liebster Award? 2017 Liebster Award – I´m delighted to be a nominee! This is a wonderful post to write…. In July 2017, I know just a few shot months ago, I launched Hope Artistry. Turning back the time my goal for the blog was mainly for me to share my photography, gluten free recipes I have found and out the better beauty products I have discovered. At first I was going to keep my Blog to my self, and share it occasionally on the Hope Artistry facebook page and instagram, primarily because I was uncomfortable about what others would think about my writing. I was not a huge writer in school, nor did I ever think that I would do so much writing in my profession or start a blog. I know not much time has passed since I started the Hope Artistry blog, but I am glad I took the plunge and published it. I am looking forward to what the year brings to my blog and what my blog may bring to others. The “Liebster Award” (“Favorite Award”) is a Blog Award that started a few years ago in Germany. The award is given to one blogger from another to help new blogs get noticed. Over the years it spread all over the world and this year it is back! A huge thank you to Kirstine from The Balancing Soul for nominating me for the Liebster Award 2017. Her site is amazing and is worth a visit. When Someone nominates you for the Liebster Award you are supposed to answer some questions about your self. I started my blog to share with others the personal care products that I have found safe from toxins as well as a way to share recipes and my photography. You can read more on my About page. 2. What is your most favorite post you have written so far? My favorite post so far was about millennials and the great horned owl. 3. If you were stuck on a deserted island and could only have 3 items what would that be? I just had my first child, he is 5 months old, so as a first time mom I really hope he and my husband are with me on this deserted island. 😉 Since this question is specific to items, I suppose the items would be a pocket knife (a good one with multiple gadgets), rope and a blanket. I’m hoping there is fish around the island and animals on the island for food, and trees for shelter. 4. For what in your life do you feel most Grateful? My tip to other bloggers would be to not force the topics and if the topic changes go with it. I have at least 15+ draft blogs, but occasionally a different topic comes to mind when I am sitting down to write. I have learned to go with the flow of my topics. Often times the newest topic turns out better then if I had stayed with the original topic I was planning to write about. I have also learned to not let someones opinion change my mind on a topic. I had one of my topics laughed at, but I wrote it anyways and it was one of my top posts. 6. When you have a writer´s block what do you do to work it out? As I mentioned above, I have several posts in draft. When I have writers block I go back to those in draft and see if one of them sparks something. I will also spend some time thinking about what’s currently going on in my city, work, etc. I’ll write down every topic that pops in to my head just to get it down on paper. I find this helps me empty my mind, to allow me to concentrate on my next post. As a new blogger myself, I know there will be ups and downs. If you’d like to accept this nomination — and I so hope you do — it’s your turn to write a Liebster Award 2017 blog post. Answer the questions you were asked publicly. Tag a number of new bloggers you want to share the Liebster Aware with. Keep in mind that they should have 200 followers or less. Bloggers can be nominated more than once, giving their readers more chances to learn more about them. Create a number of new questions for your nominees. For full rules, check out the Global Aussie page, and choose your Liebster Award image there! What is the best memory that you have while traveling? Have you ever visited a place just because you saw it in a book/series/animation/movie? What was that place? While I was pregnant, I followed the blog alphamom. I found this blog early in the pregnancy through pinterest. It was awesome, there is a post for every week you are pregnant. It not only has good information about what you could be expecting to go through being pregnant that week, but also what the size of the baby is and how baby is growing. As you get further in to your pregnancy weeks it also begins to highlight must haves for after the baby is born. This included registry ideas, nursery ideas, items that are a must have and items to not waste your money on. Not only was this information beneficial there is also a tad bit of humor in the blogs. There were times I would read ahead simply because I wanted more of the humor. Pregnancy is a hard time for a women, our body is not our own. I am sure glad I had this blog to keep me entertained and from feeling alone. This was a great blog for me as a first time mom, I still plan on reading along again when we begin trying/expecting our next. Do you have a favorite blog you follow? I look forward to reading your answers! Sending good wishes and positive vibes to all the bloggers out there! What is the meaning behind the name? That is a great question. When my husband and I started talking about me starting a blog, we came up with some interesting names. Every name we came up with, I would research the meaning behind the words and would also ask others what the first thing that came to mind when they heard the words. After many months of discussion and research, we finally landed on Hope Artistry. I think the first thing that comes to mind is makeup, specially because of the word artistry. I also find it ironic that I am using the word artistry for part of my beautycounter business when I actually grew up using Amway Artistry as my skin care. I’ll save that story for another day. Let me go in to more detail as to how I came up with Hope Artistry and the research. I wont bore you, I am a word person, so ill keep the word research brief. I started with understanding the definition of each of these words. I then moved on to how each of these words are used in a sentence. Are you hoping for the best? He hopes for a promotion. The evidence is the artistry of his novel. There is true artistry in the violinist. Lawyer’s have an artistry in persuading juries. I know these are two unique words that have been put together. I suppose based on the meaning I could have used an abundance of other words. Let me see what the thesaurus recommends. Wow, there are actually a good selection of other words I could have used. I suppose I could have used optimism art, faith genius, belief talent, concern brilliance or even fancy flair. What was I thinking, why did I not go with fancy flair. Silly me! By the way if you google “fancy flair” and select images, you’ll see several, okay a lot of pictures of carpet. I didn’t know there is a type of carpet by the name of “fancy flair”. I learn something new every day. So why did I pick hope artistry. I chose it because I wanted to share my desires (hope) and creativity (artistry). My website is more then just one niche. I wanted to have the flexibility to include many aspects, which is why those first several names about nature did not pan out.They were specific and didn’t provide the diversity that I was looking for. Don’t get me wrong, I love nature, hiking, the great outdoors which you’ll find out later in other posts, but I also love food, baking, cooking, and living a healthy life. If I had to categorize my website, I would say there are four categories, fashion, food, health and beauty and life. The fashion category is self explanatory. My most recent post about fashion was about how one of my favorite stores The Limited is closed and the struggle I am having at finding a store to find clothes to wear 5 months postpartum. The food category will include recipes that I have created and or followed. Some of the recipes will be gluten free and some will not. I have been gluten free for over eight years and have learned how to adjust most recipes to be gluten free. We also purchase grass fed beef each year, so our meat is what I call “fresh”. Our cow comes from a ranch in Colorado and I would say is some of the best steak/meat you have ever had. The food category will also include nutrition. I am an avid tea drinker, check out the benefits of tea. I know there is a saying out there “we are what we eat”. Well at least thats what my mom always told me. She also told me if I ate a watermelon seed that I would grow watermelons out of my ears. The beauty category includes health and beauty. Its better beauty products that I have found to be healthier for me and my family. Some of these products come from my own beautycounter business. Lastly, there is the life category. There is a lot that might be included in life. One of the latest posts talked about the generations, specifically the Millennials. Ill also include our adventures hiking, camping, birding and traveling and of course the simple things of life. Hope Artistry is more to me then just two words put together, its the anticipation of style, brilliance, and a lot of fun. Are you a Millennial? If I had to answer that question, I would say that I am not a Millennial. I am not saying this because I don’t want to be assumed to have similar “tendencies”as Millennials. I say this because I am one of those lucky people who is caught in the year that Generation X ended and the Millennial generation started. Depending on who you talk to, depending on what website you read, I (or you) may or may not fall in to the Millennial generation time frame. If you are a Millennial, there is nothing wrong with that, it just means that you were born between the years that has been identified as the Millennial generation. What is the definition of a generation? A generation is a group of people born around the same time and raised around the same place. People in this “birth cohort” exhibit similar characteristics, preferences, and values over their lifetimes. Generations exhibit similar characteristics—such as communication, shopping, and motivation preferences—because they experienced similar trends at approximately the same life stage and through similar channels (e.g., online, TV, mobile, etc.). Generation-shaping trends are most influential as people come of age, which means that members of a particular generation will develop and share similar values, beliefs, and expectations. The three key trends that shape generations are parenting, technology, and economics. For example, many Baby Boomers have the parenting philosophy, “We want it to be easier for our kids than it was for us.” This philosophy, in turn, helped create and reinforce Millennials’ sense of entitlement, which is now a hotly debated topic. There are at least four generations out there right now that most of us interact with on a regular basis. If you are in the work force then you are more likely to be interaction with these different generations. the “middle child” of generations – caught between two larger generations of the Millennials and the Boomers. So this brings me to why I am writing about Millennials. Have you wondered why Millennials are getting so much attention now? I have been thinking about this a lot lately. I am seeing more and more blogs use the word “millennial” as a part of there blog name. In the last two years, Millennials have become the largest generation in the U.S. workforce. Millennials are also the fastest-growing generation of customers in the marketplace, bringing the greatest lifetime value. In addition, Millennials exhibit different attitudes toward employment, sales, and marketing, which are challenging many conventional strategies and approaches. No wonder everyone’s talking about Millennials—but are they really different? How and why are they different? What can employers, marketers, politicians, educators, and parents do? You can do your own research on finding answers for these questions. There are a lot of psychologists that I know have opinions on these questions. Everyone’s answer on how to “deal” with the Millennials will be different. This will ultimately be your own decision. What does this all mean… Millennials are going to be making changes to our world becuaes they will be the leading generation due to there population. There may be a lot of bad rap on Millennial but they are bigger then the baby bummers. There influence is going to be huge in the coming years as more of the Millennials join the work force, get married and have children of there own. There will be more Millennials in the work force sooner then we realize. Millennials, don’t get to excited about making all these decisions. I know many Millennials are eager to become the next CEO and make these decisions now. But hold on… your time is coming. Lets give these older generations a few more years. Millennials you have something to look out for, too: the next generation. Known as Gen Z, Generation Z, iGen, or Centennials, this new group of people is making big waves in all the ways a generation possibly could—including parenting, education, employment, entrepreneurship, sales, marketing, politics, religion, and more. This next generation includes my first born, so watch out for them. Remember karma, what comes around goes around. Of course I think this is me as a protective mother speaking. No matter the generation you are in, know that you are unique in your own way. Each generation has good and bad traits so although right now it might appear the Millennial generation is getting “picked” on. You really are not, its just that time for the older generations to recognize you for your uniqueness. Note: The years identified for each generation may vary depending on source. Why did I switch to safer beauty products and a healthier life style? I think I get asked this at least once a week. Or when I am out and I ask for something to be gluten free, I get the glare or a comment from the peanut gallery “oh you’re on that fad “. Well I’m not eating this way because of a fad, I’ve been gluten free and living a healthy lifestyle for longer then it’s been a fad. Let me step back and give you a glimpse as to why… I remember my mom continually telling me to take care of my skin, use good face cream and always put on sunscreen. Although I did my best to do all of these things, I still at 17 years old ended up with melanoma on my back. I was a Senior is High School, graduating in a month time and the doctor was scheduling me for surgery post graduation. I sure had a summer adventure ahead of me. I now get to look forward to getting checked annually for new spots. A few years later I was in a ski accident, I wish I could have said “you should have seen the other gal”. But I can’t… after the healing of a few busted ribs my innards were simply not functioning right. Many tests later I was diagnosed with celiac. I still remember the day I told my parents I had celiac and I won’t be eating gluten any more. My moms response, “so what do we need to do to fix you?” “How long do they think it will take to heal?” Cutest questions, well there is no fixing someone with celiac, but there is a way of life to live in order to manage the pain and other symptoms. Anyways I could go on a long time about my journey living a gluten free life style, but I’ll call it short. Needless to say there are more parts to my story that I want to get on to. About 5 years ago now, my dad was diagnosed with colon cancer. The tumor was so large they had to first shrink it before removing it. Once they removed it, anything that could have gone wrong, did. Two years of fighting the original colon cancer and then the metastasized lung cancer my dad still battles cancer but at least the doctors, a healthier life and my dads desire to fight has slowed it down from growing. Each year we get excited for negative test results. Anyone who has been close to cancer knows negative is good, no more new cancer cells.